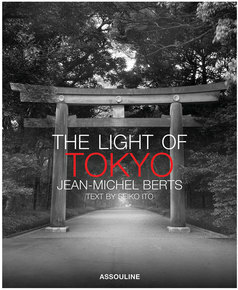 The elegant publishing house Assouline has just announced that they will donate one half of the purchase price of Jean-Michel Berts’ stunning book, The Light of Tokyo, to the American Red Cross for relief to Japan. Each image in this remarkable book catches the unique feel of Tokyo, traditional and modern, at the break of day. Temples and shrines float between towering skyscrapers in photograph after photograph, all in a soft morning light that captures the rare soul of this great city. Please remember Japan in this her great hour of need and contribute in some matter to insure that the beauty and courage of Japan will survive and flourish yet again. Posted on March 17, 2011 by Ana Kinkaid and filed under Book, Courage, Design and tagged Assouline Donation Earthquake Relief Japan Jean-Michel Berts The Light of Toyko Tokyo.